A Funeral Mass for Anne Louise (Mulkern) Moynihan will be celebrated on Thursday April 11th, 2019 at 9:00 am, in the Church of Saint Patrick, Watertown. A daughter of the late Matthew Mulkern and Anna (Resca) Mulkern, Anne passed away Saturday morning. She was 81. Anne was born in Boston. She was raised in Watertown and graduated from Saint Patrick High School. Anne and her husband Daniel raised their four children in Watertown. 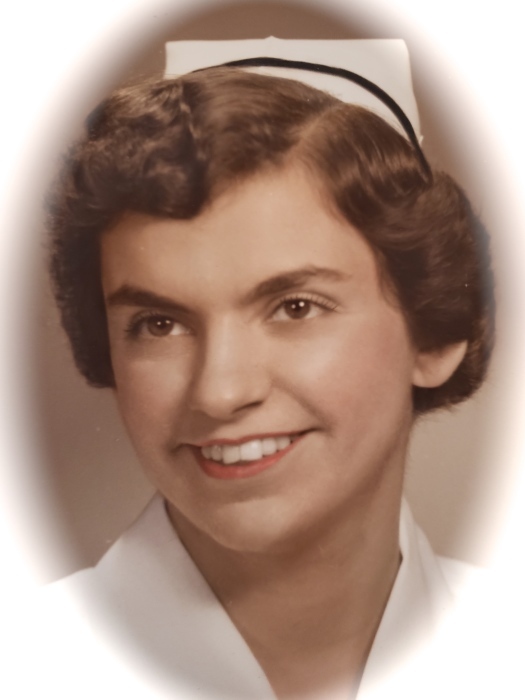 She was a registered nurse and was dedicated to her work and her family. Anne worked at St. Elizabeth Hospital and St. John of God Hospital both in Brighton. She was the beloved wife of Daniel Joseph Moynihan. Loving mother of Margaret Mary Moynihan & her late husband Robert Flaherty of West Roxbury, Thomas Joseph Moynihan & his wife Karen of Dover, NH, Anne Marie Moynihan & her boyfriend Rod McGlashing of Watertown, and the late Daniel Gerard Moynihan & his wife Sandra of Watertown. Dear sister of Matthew T. Mulkern of Chelmsford & the late Marie McDougall. Loving grandmother of Tyler Moynihan, DJ Flaherty, Jesse Moynihan, Katrina Moynihan, & Kevin Moynihan. Funeral from the MacDonald Rockwell & MacDonald Funeral Home at 270 Main St. Watertown Thursday April 11, 2019, 2018 at 8 AM followed by Funeral Mass in the Church of St. Patrick, 212 Main St., Watertown at 9 AM. Relatives and friends kindly invited. Visiting hours Wednesday 4-8 PM.